The most common swallow of the countryside is the Barn Swallow. With its long, forked tail it is an elegant appearance on farms. And very useful: it is capable of eating huge numbers of flies and mosquitoes. 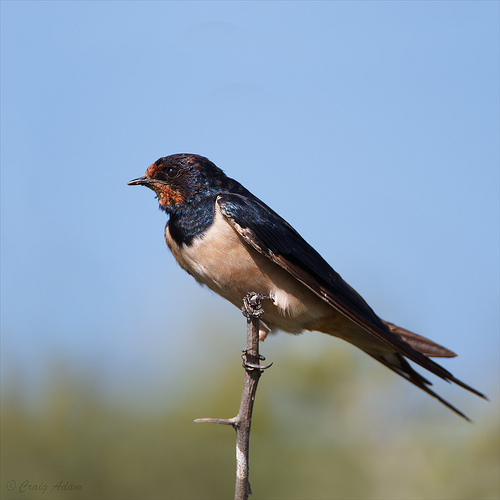 The Barn Swallow has a long, deeply-forked tail and lacks the white rump of the House Martin. 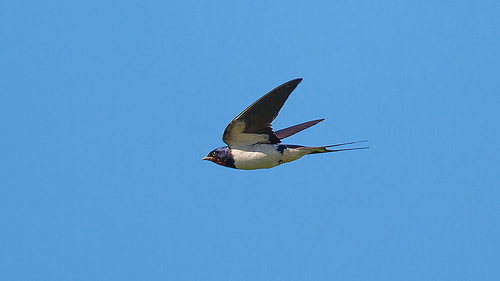 The Barn Swallow flies close to the ground, while the Swift is high up in the air. The Barn Swallow is constantly flying, while the Swift will glide after a few strokes.